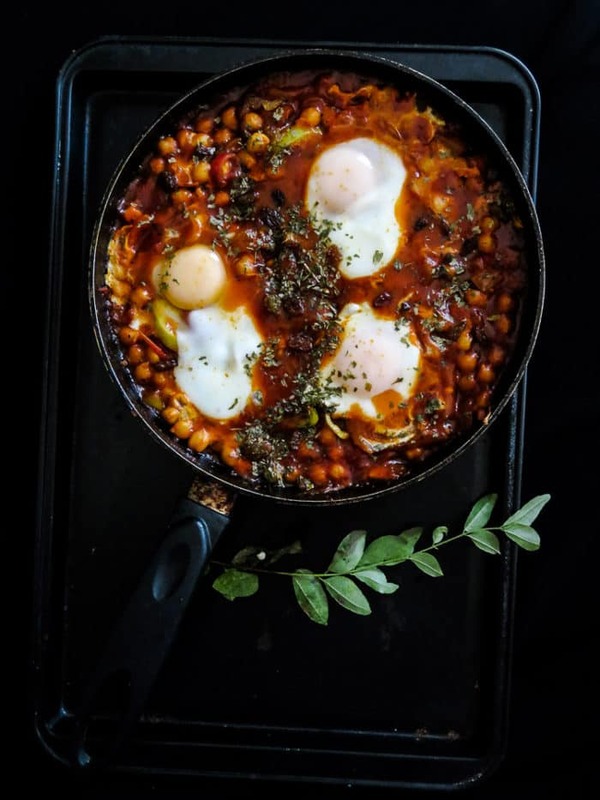 Inspired by the middle eastern dish Shakshouka, my Breakfast skillet includes the usual poached eggs, leftover chickpeas in a thick gravy of Coconut milk and Tomato sauce with a good amount Parsley. Did you just stumble here while googling for breakfast recipes or Shakshouka? Then welcome, with my new year resolutions for 2017 in place, I’ve been posting Breakfast themed recipes all through this month, except on weekends of course. 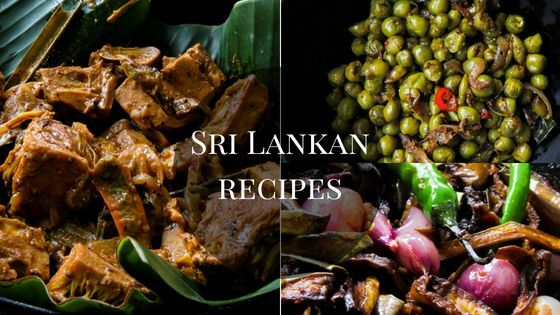 So far I’ve managed to avoid the usual breakfast waffles and pancakes in the hope of adding a bit of variety with a few breakfast that is uniquely Sri Lankan. And then I have Friday specials for my kids where I indulge them on something sweet or chocolate. I started this week with an Onion relish(seeni sambol)that is just bliss on buttered toast, followed by Pastries ,using the same relish and hard-boiled eggs, yesterday we did some clean eating with tempered chickpeas and as you can see today I’m using some leftover chickpeas on this breakfast skillet. 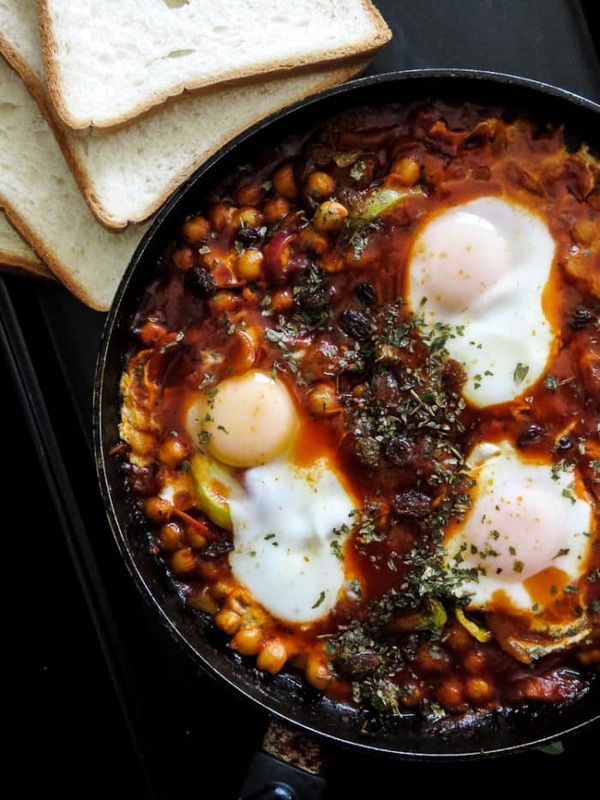 BREAKFAST IDEA 13 – BREAKFAST SKILLET OF POACHED EGGS, CHICKPEAS IN TOMATO SAUCE(SHAKSHOUKA). When I started the breakfast theme, I had one aim in my mind and that is to keep them simple, easy but different. I hope I’ve managed to do this. 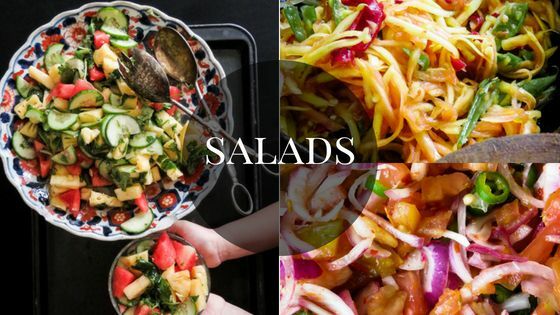 at first glance some of these recipes might look difficult, it might just be that you are not familiar with them, at any point if you should find difficulty with a recipe mentioned here then please get in touch with me to clear your doubts. the easiest way is to go to the blog FB page and message me as I have access to it more. 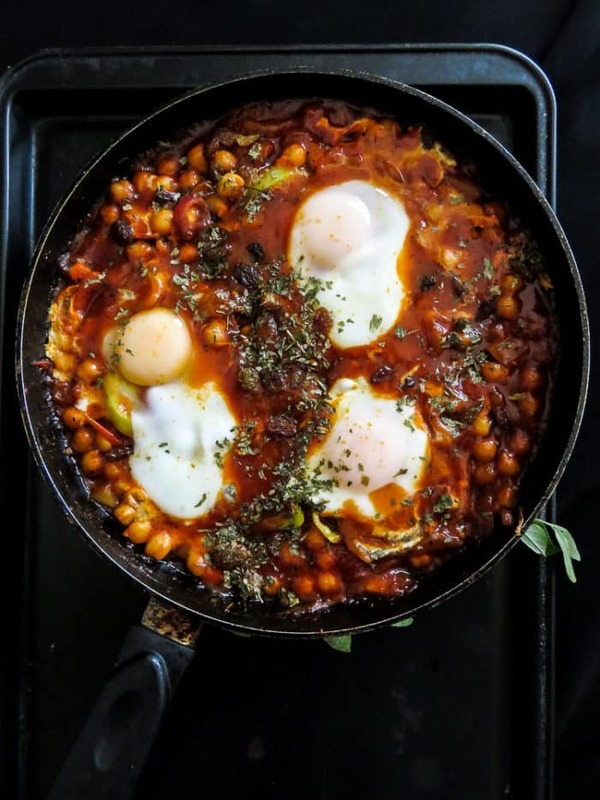 Let’s chit-chat about the recipe, at first glance this, Breakfast skillet of poached eggs, chickpeas in Tomato sauce(shakshouka)may seem a bit complicated but all you have to remember is the dish comes together in layers, first the spices and the base ingredients, then the gravy and finally the eggs. So now my family has a new breakfast favorite and that is this breakfast skillet, a”beautiful mess“which also tastes so good. 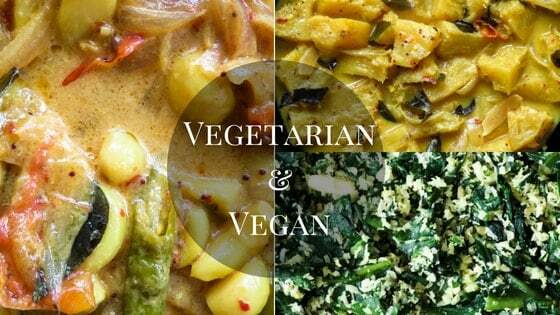 The best part of it is, you can make your own variations using your favorite vegetable, legumes, beans etc. Keep in mind, the one thing you should get right is the base or the thick gravy that the eggs would poach in, it should be thick enough to just let the eggs float while absorbing all that flavor. 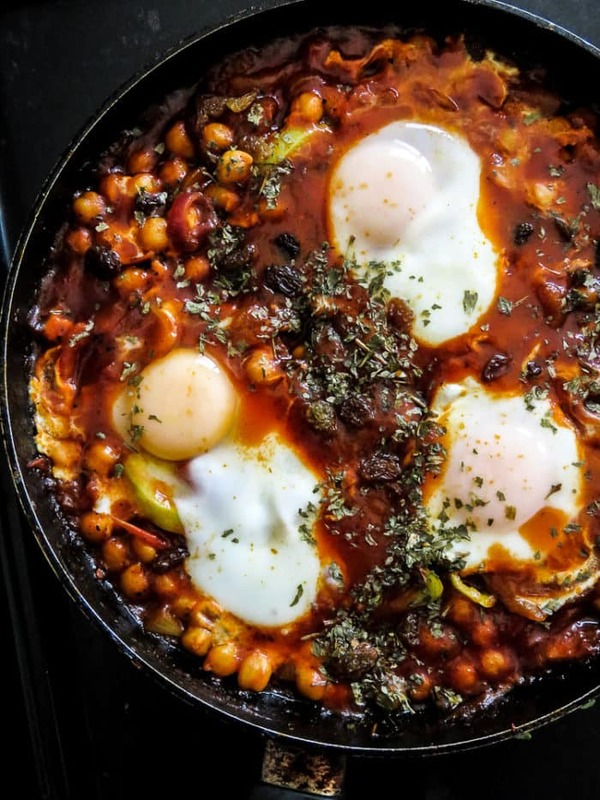 RECIPE IDEA 13- BREAKFAST SKILLET POACHED EGGS, CHICKPEAS IN TOMATO SAUCE(SHAKSHOUKA). 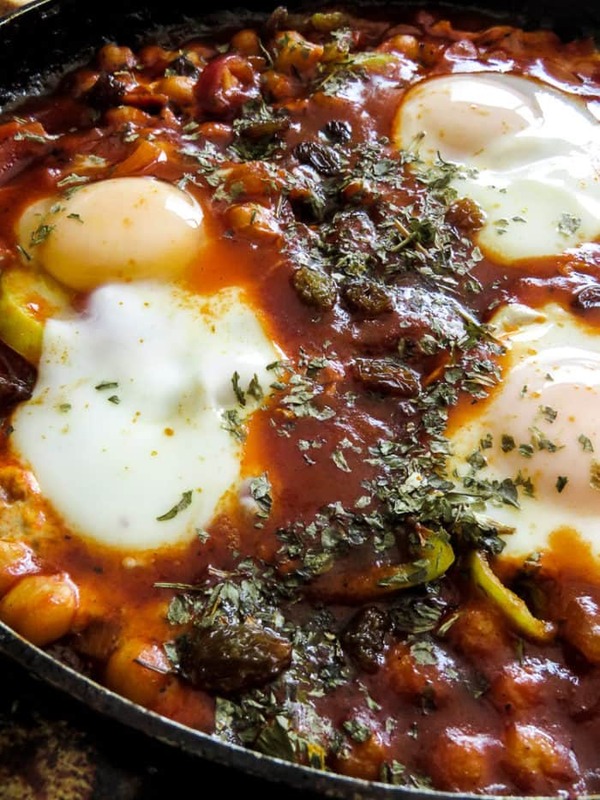 After watching the family wipe out the whole pan with nothing left for me(not complaining), It’s no wonder shakshouka in any form or variation is popular with everyone who tastes it. I honestly was expecting a few whining from the younger one’s hence the reason for three poached eggs but they surprised me by really, really enjoying the dish and yes what goes into the blog is actually tested by my family as I mentioned earlier. I was given clear instruction to go ahead with poaching individual eggs for everyone……hmm time to get a larger pan. Please make sure to read the recipe instruction to avoid mistakes. For the purpose of poaching the eggs efficiently have a lid that can cover the skillet completely. 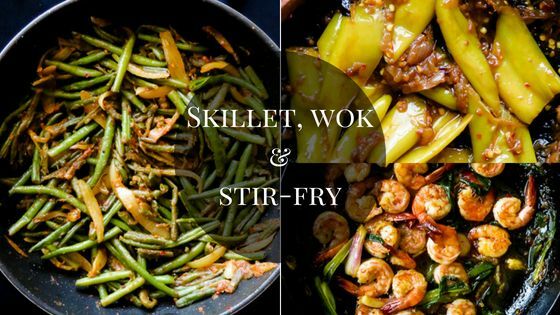 Over medium heat, pour the Oil and include the Onions, leaving it to gently caramelize for one minute. Add the chopped green chillies, crushed Garlic, diced Tomato and curry powder for two minutes until all the ingredients are cooked and turned into a liquid pulp. Add the Tomato paste, ketchup, salt, a tablespoon of Parsley and cook on medium heat. Add a tablespoon of Sugar if the ketchup does not bring a hint of sweetness. leave it to cook for two minutes on medium heat. Include the chickpeas, Coconut milk and cook until the gravy is reduced, takes another 3 minutes. The outcome of all this cooking would be a thick gravy coating the chickpeas but there will still be enough gravy to hold the eggs till they poach. Bring the fire down and break the eggs into the skillet gently. Cover the skillet and let the eggs poach for 10-20 minutes. Garnish with Parsley and serve while still warm. 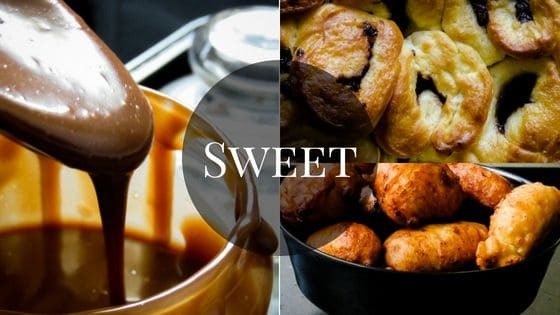 That’s your delicious breakfast for today, join me on another breakfast recipe tomorrow. Until then…..